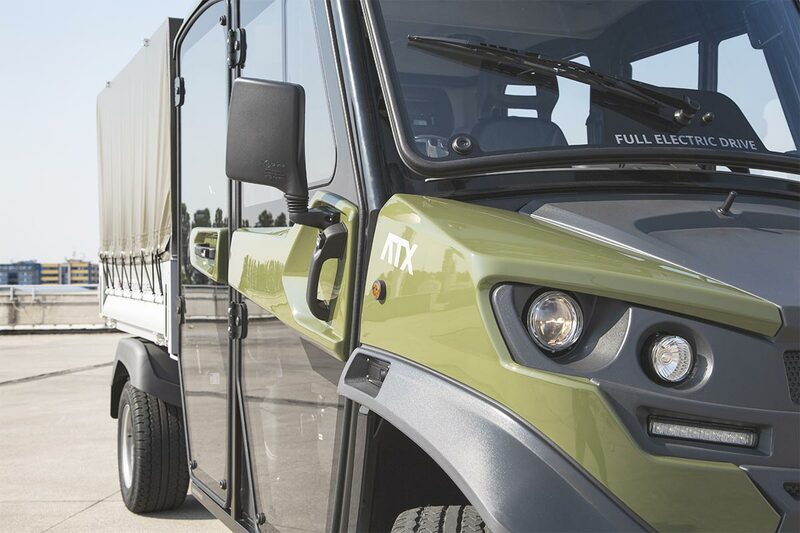 The barracks that have decided to provide with an Alke' electric military vehicle are always more numerous. Why? Thanks to the performances and versatility that distinguish these vehicles. 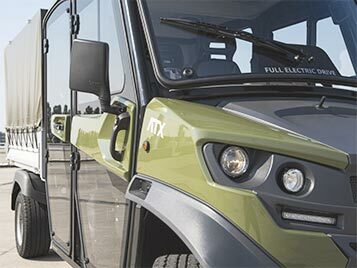 Why to choose Alke' electric military vehicles? 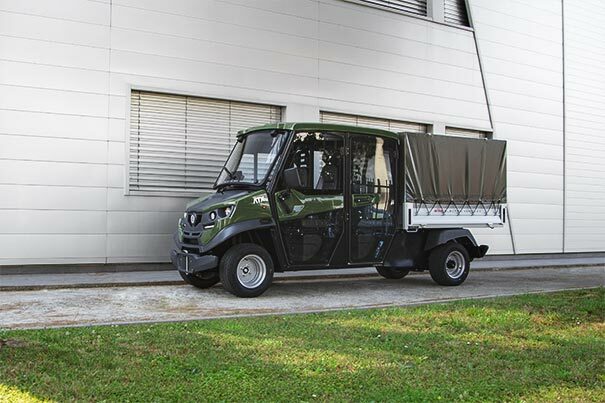 Alke' military electric vehicles lend themselves to operate in various environments, from road circulation (thanks to N1 homologation) to logistics and transport of materials inside the barracks and the hangars of civil protection and firefighters. 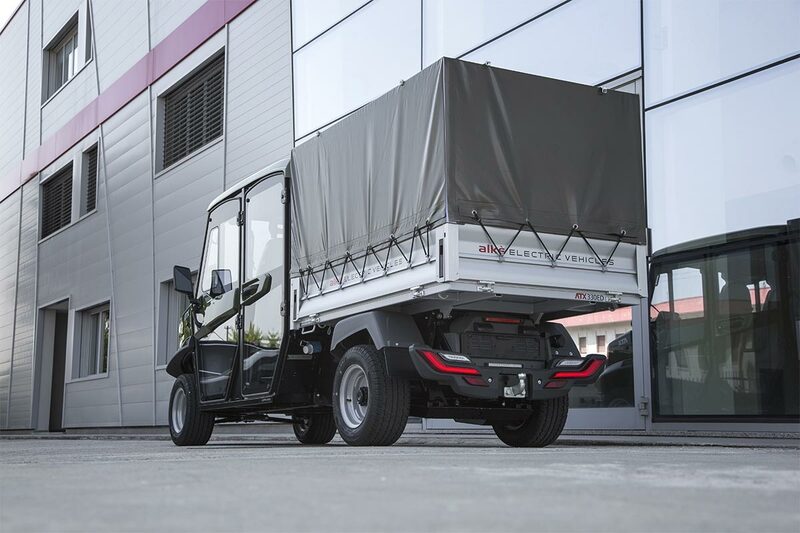 Thanks to the electric quiet and zero emission engine, they are particularly appropriate also in close environments, such as warehouses and hangars. 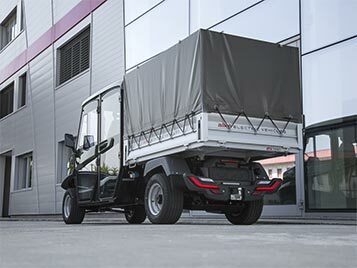 The performances of these vehicles are among the best in the market, with a loading capacity up to 1.630 kg and a towing capacity up to 4.500 kg. The front Mac Pherson suspension and De-Dion rear axle with bridge guarantee comfort and perfect road holding on all land types, allowing up to 35% negotiable slopes. The 100% electric engine permits to reduce fuel costs and frequence of required maintenance interventions. Finally these vehicles use a particular system to recover energy during brakings that would otherwise be lost as heat. This allows to decrease significantly handling costs. 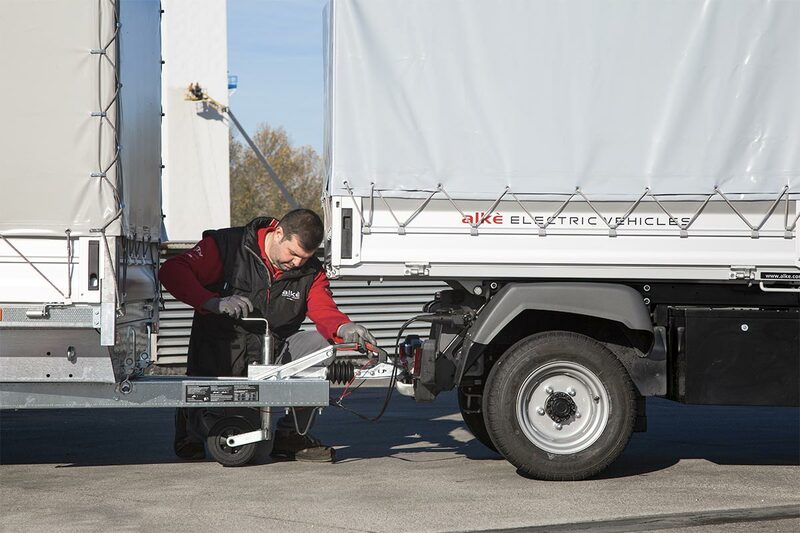 For explosion risk areas, Alke' offers its vehicles also in ATEX explosionproof version that has been modified in the electrical system and in every component that can generate high temperatures or sparks. 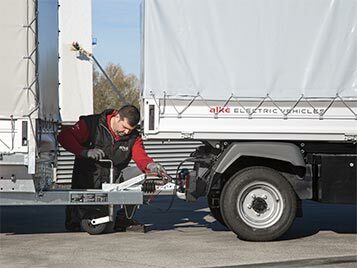 To cater the needs of the different army corps, as well as civil protection and firefighters, Alke' offers a large range of personalization and accessories for its vehicles. Among the hundreds of available options, there is the possibility to customize the color according to the specific requirements or to install configurations like, for example, the front snow blade, the salt spreader, tipping loading bed, the bin lift system for waste collection and tarpaulin body. There are also in availability accessories for road safety and accident prevention, to guarantee always the maximum reliability in every situation. Alke' is already in possession of the NATO codification for the supply of military vehicles. Write a short message to know the prices of Alke' military electric vehicles.